In the Backyard: Spirit-Led Parenting : Official Release! It's here! The day is here! Our book, our baby, this work into which we have poured heart and soul...is born. 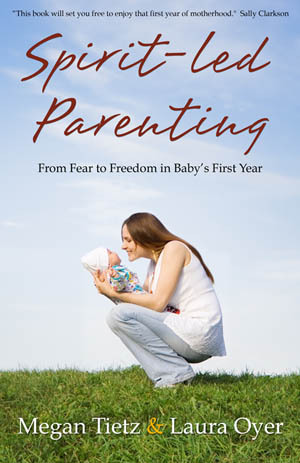 Spirit-Led Parenting: From Fear to Freedom in Baby's First Year is here! Complete and published and available on Amazon. Megan and I are thrilled and humbled at the opportunity we have been given to share our stories, to tell about what God has done in our lives, and to give voice to the message we wish we had heard as new mothers. There are some exciting things in the works for the next while: a blog tour kicks off next week, our media kit is nearly complete, and we each have a bundle of books on their way to our doors. We're excited and nervous and quite frankly this is still very surreal! Our most fervent prayer is that, as we move into the next phase of things, we would faithfully follow the Lord's leading, and that He would have His way in it all. Thank you so much for your encouragement, love, and prayers. 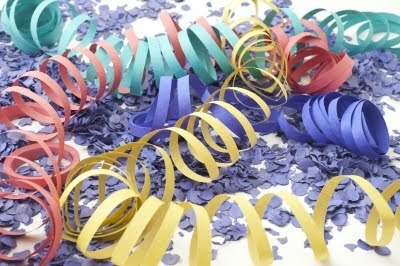 You have no idea what these things have meant to us. One logistical note: For anyone who might be planning to order a copy of Spirit-Led Parenting this week, could we ask if you wouldn't mind placing the order tomorrow (Tuesday)? We would, of course, be honored and grateful that our book would find a place on your bookshelf no matter when you order. Tuesday just happens to be a day that would be helpful in terms of Amazon's tracking of sales trends. If that fits your plans, that would be wonderful - and if not, no worries! Above all, please pray with us that Spirit-Led Parenting would be an encouragement to new parents. That means everything!